We process uranium into fuel for safe, clean, reliable nuclear power reactors around the world. The safe processing of uranium ore concentrates into fuel for clean air nuclear power plants is the focus of Cameco’s Fuel Services Division in Ontario, Canada. Before it can be used to generate electricity, uranium concentrate, or yellowcake as it is commonly referred to, must be further processed. First the uranium concentrate is refined to remove impurities and change its chemical form to uranium trioxide (UO3). This UO3 is then chemically converted into one of two different uranium compounds, uranium dioxide (UO2) or uranium hexafluoride (UF6), depending on the type of reactor to be fuelled. 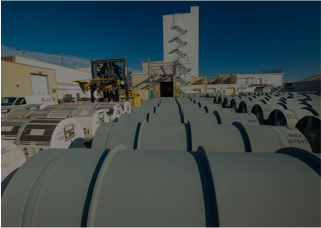 Some of the UO2 is shipped directly to Cameco's fuel manufacturing. 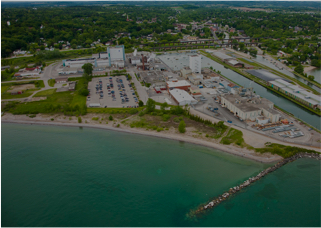 In Port Hope and Cobourg, fuel assemblies are constructed for CANDU heavy water reactors. This facility is also a well-known producer of reactor components for reactors around the world. UF6 moves on to enrichment facilities for further processing into fuel for light water nuclear power reactors. is a leading manufacturer of fuel assemblies and reactor components for CANDU heavy water reactors. For more details about the nuclear fuel cycle and uranium processing, visit Uranium 101. Cameco's Blind River Refinery first opened in 1983. 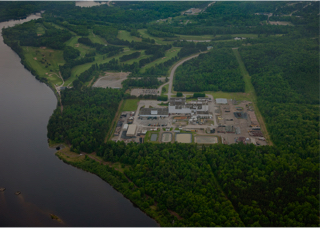 Nuclear material processing has been conducted here since the 1930s. 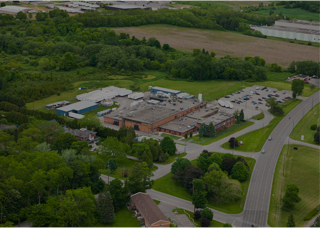 Research and fuel manufacturing development began here in 1957. Cameco's Port Hope Conversion Facility has been granted a 10-year operating licence.